Gone Fishin’ was commissioned by Morecambe Bay Partnership from AbouTime Dance Company in 2018 as part of the ‘Catching Tales’ project celebrating and sharing the fishing memories of Morecambe Bay. Following workshops with four primary schools around the Bay, where the archive was explored and dance routines developed, the finale was a wonderful performance piece, showcased on Morecambe Promenade in July 2018. Taking inspiration from the physical nature of fishing and the tides and elements that shape the Bay. 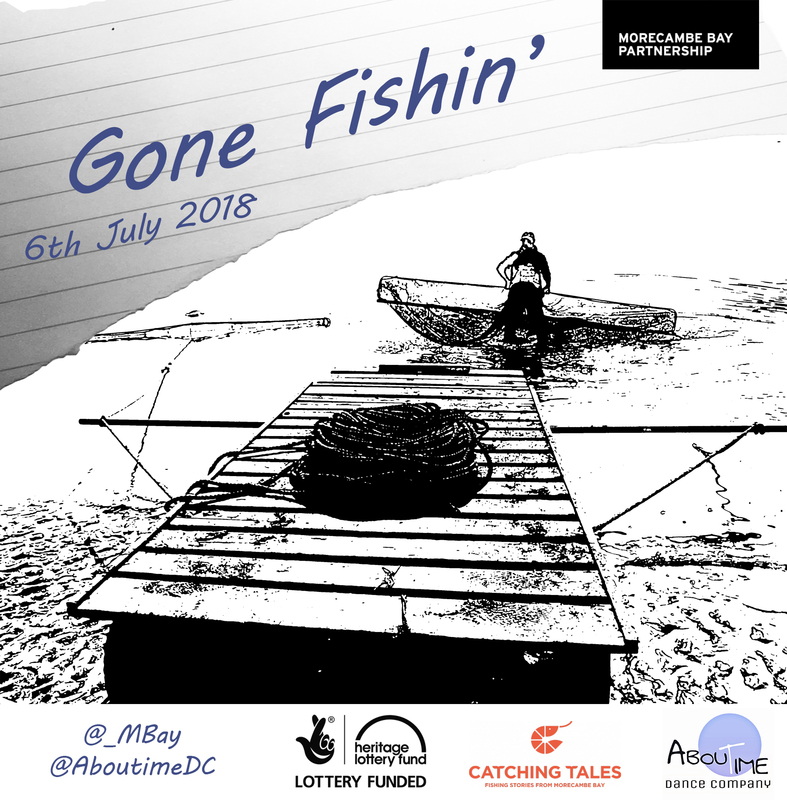 The piece captures the spirit of the Bay’s shared fishing heritage and the children perform to a magical fishing-inspired musical soundtrack. Created by Lancaster-based choreographer and dance artist Jenny Reeves and AbouTime Dance Company, in partnership with sound engineer Lee Affen and Ludus Dance.